W 500pcs Delivery Time 45 days after received deposite 20'(pcs) 1180pcs Main Port Ningbo/Shanghai Ningbo Oucheng Mechanical and Electrical Industy Co. ,Ltd , is located in West GaoQiao Road127 Yinzhou District Ningbo City,Zhejiang Province, with good traffic,and only 3killometers nearby the Hang Yong high-road. 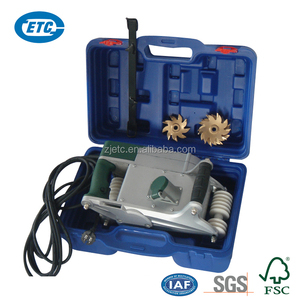 Why Choose Us: 1- Have More Than 1 0 Years In Professional Power Tools; 2- Welcome Small And Big Size Customer Orders; 3- 100% QC Inspection Before Shipment. 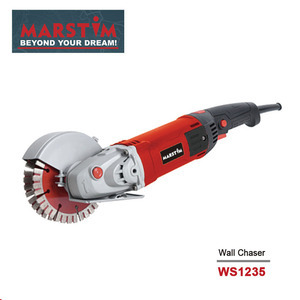 The CS150,CS150N,wall chaser is a light weight,esy-to-handle machine. The blades run clockwise to its very convenient for vertical chases,just pull the machne downwards along the wal. The dust control is excellent for healthy, mess-free operation. 1.Insert box/clamshell box/pvc pet box often use for Something light. 2.iron box often use for Something heavy. The outer box can design any style you want Different style. 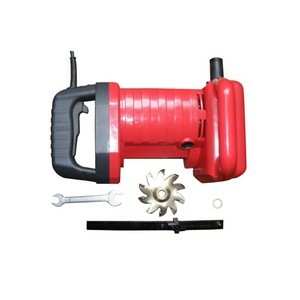 Alibaba.com offers 774 concrete chaser products. About 22% of these are other power tools, 16% are saw blade, and 2% are other tools. A wide variety of concrete chaser options are available to you, such as free samples, paid samples. There are 775 concrete chaser suppliers, mainly located in Asia. The top supplying countries are China (Mainland), United States, and Taiwan, which supply 99%, 1%, and 1% of concrete chaser respectively. Concrete chaser products are most popular in Mid East, Western Europe, and Eastern Europe. You can ensure product safety by selecting from certified suppliers, including 248 with ISO9001, 45 with Other, and 4 with BSCI certification.